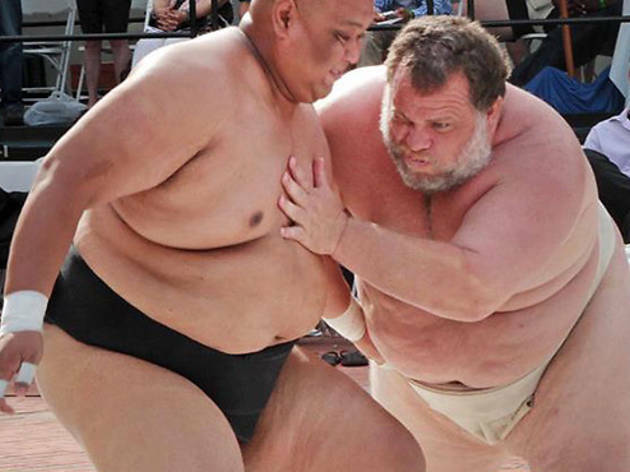 Photograph: Courtesy USA Sumo US Sumo Open at JACCC. The 14th annual installment of the mega-sized wrestling event lands at Cal State Long Beach's Walter Pyramid (1250 N Bellflower Blvd) with 40 elite wrestlers in tow. Listen to Taiko drummers and sip Japanese beer and sake as sumo wrestlers duke it out for the title.